SO INCREDIBLY EXCITED TO BE PART OF THIS FILM!!! If you haven't checked out the first series of podcasts, download them now while you can - they're completely free! Written by Dan Freeman the amazing cast of Julian Wadham, Lauren Crace, Jenny Agutter, Jed Brophy, Paul Darrow, Philip Glenister, Beth Goddard, Tamsin Greig, Peter Guinness, Sylvester McCoy & Paul McGann. which includes not one, but TWO DR. WHOS and stars from The Hobbit! I first listened to them in wintertime when I was in a very small and rather freezing workshop, welcome escapism to accompany the busy days and nights making and even better with a huge steaming mug of something warm (tea, coffee...gluhwein, it was a VERY cold winter). I have been designing the jewellery for the film, an unusual task as the technology varies with the different countries and the planets which have developed in different ways. The mixture of space rockets and glorious countryside is inspired by our amazing home of Cheshire and the imagination sparked by the wonders of the universe. If you have ever been on the train past Jodrell Bank, seeing the massive Lovell Telescope in the middle of rolling stretches of green gives you an idea. "We have cast members in common with the Lord of The Rings and Hobbit - this gave us the idea to follow New Zealand's lead. Instead of going to Hollywood, director Peter Jackson's team brought the production home, wherever possible using and promoting local talent." Growing up in Cheshire I draw on my experiences there as inspiration for my work. Surrounded by castles, crumbling ruins, exploring breathtaking caves and hills and the remnants of Roman Civilisation gave me the thirst for discovering and enjoying my surroundings. Being asked to join the Cheshire-centric team now dubbed as "Chanceshire" is a real honour, and I'm excited to produce some spectacular pieces that will become part of the world within this film. 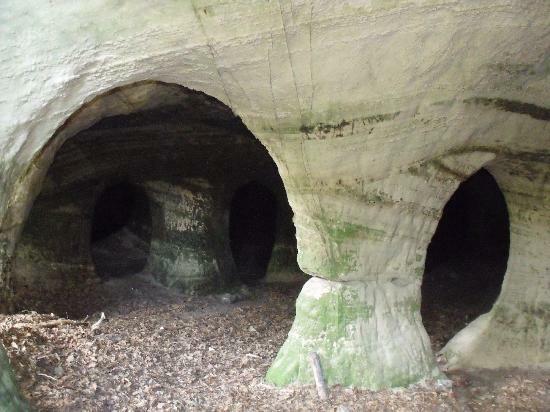 Caves at Beeston, near where I grew up. The Podcasts have already collected rave industry and fan reviews for its first season, along with nominations from the BBC and the USA Parsec Awards. 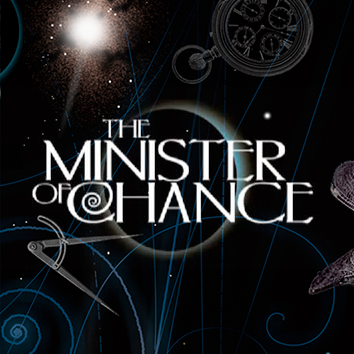 "The Minister of Chance began life as a sonic movie - a Sci-Fi/Fantasy story created using film technique but told with sound alone. It is the first of its kind - funded entirely by donations from a vocal community of supporters. The first season is entirely FREE to download from this site or from iTunes. And now the Sonic Movie goes to Feature! We're in production turning the acclaimed series to motion picture, filming in the North West of England. Find out how you can be involved here."